Donna Baden – Mortgage Consultant MFAA Full Member/Accredited Mortgage Consultant Donna enjoys her role as a MX Mortgage Consultant and prides herself on her ability to provide clients with the benefits of her knowledge, gained from her extensive years in the finance sector. Donna is a MFAA Credit Adviser, holds a Diploma of Finance and Mortgage Broking Management, Certificate IV in Financial Services and is also a Commissioner for Declarations. Donna is an independent, full-service mortgage broker offering complete solutions for all your lending needs. Whether you're interested in buying your first home, refinancing an existing loan or purchasing an investment property, car or need a personal loan, Donna can help by finding you the best mortgage for your individual needs - real solutions, and honest answers with no surprises. Results orientated performer and top producing professional with over 20 year track history of generating new business. Rob prides himself on having a strong customer focus with emphasis on delivering optimal results for a customer's financial gain. Jo Marrable offers personal, friendly and genuine service for her clients’ real estate lending and refinancing needs, coupled with a strong desire to go above and beyond their expectations. Before entering the mortgage broking industry in 2009, Jo gained all of her remarkable customer service skills within the hospitality industry. After completing her Diploma in Hospitality Management, Jo worked in a variety of restaurants around the World. It was after her second child was born that Jo discovered her true passion for the finance industry. Having originally planned to study accounting, after a seasonal role as a Tax Consultant, Jo decided that it was achieving positive outcomes for clients that she particularly enjoyed, and therefore chose to pursue mortgage broking. 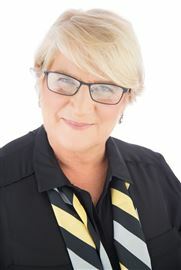 Jo is most enthusiastic about assisting her clients achieve their real estate and property dreams, from buying their first home, first investment property or just building on their property portfolio. 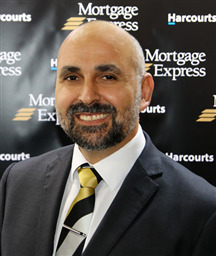 She relates to Mortgage Express’ values that revolve around the basis of putting people first. Jo’s reliability, excellent work ethic and enviable communication skills gained from her hospitality background are what clearly set her level of service apart from the rest. 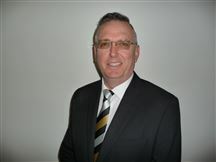 I'm a highly successful and skilled professional with over 30 years experience in the Finance industry ( primarily with two of the Big 4 Banks ) covering leadership, training and management roles. I've most enjoyed the roles that encompassed people leadership, both motivational and skills based coaching and building/sustaining team engagement. My strengths include, but are not limited to, focused business management, superior people leadership and building long standing client relationships.